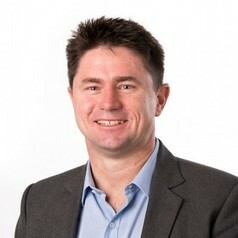 University of Melbourne Professor Cameron Simmons is an infectious disease scientist with expertise in tropical infectious diseases, and in particular, dengue. He is recognised internationally for his work in dengue pathogenesis and in laboratory and clinical research of diagnostics, vaccines and therapeutics. Cameron is a Chief Investigator in the Eliminate Dengue Program – a collaborative effort to use Wolbachia to stop mosquitoes from transmitting dengue. Cameron consults to the World Health Organization (WHO) and to private-sector dengue vaccine and drug developers. Cameron is a National Health and Medical Research Council (NHMRC) Senior Research Fellow and VESKI International Fellow.